Third party apps and services have been able to connect with the Google Assistant in the States since late last year, through the Actions on Google platform. Compatibility with more languages and regions was promised, and a couple of months ago we got support for it here in the UK, too. Australia is next up. Starting today, developers and businesses down under can integrate their apps with the Google Assistant. There are plenty of resources on the Google Developers site to help you get started, including developer tools, documentation, and a simulator. Google clearly wants to make it as easy as possible for developers to get their apps on the service as it bolsters the ecosystem and enhances the usefulness of the Google Assistant. Among the Australia-specific additions are new text-to-speech voices with an Aussie accent. One of them is selected for your app by default, but you can choose from further options in the actions console. It's recommended that developers check response text strings and make necessary changes to ensure differences between English types are accounted for. More information for developers can be found here. 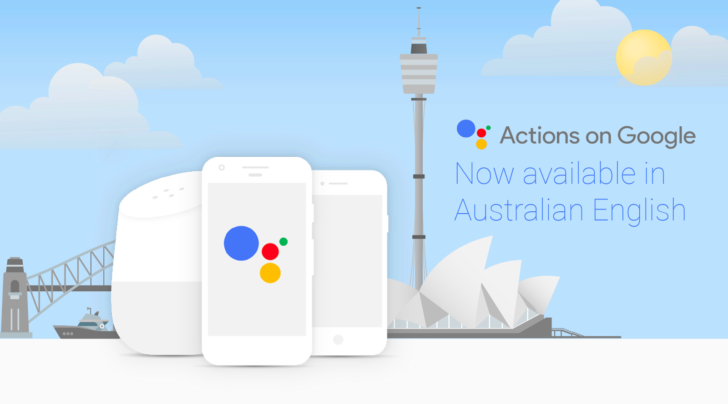 A number of apps should already work with Actions on Google in Australia as of today, so head to the Assistant on your phone and take a look by tapping the little icon. More local apps are sure to be added soon, so watch this space.